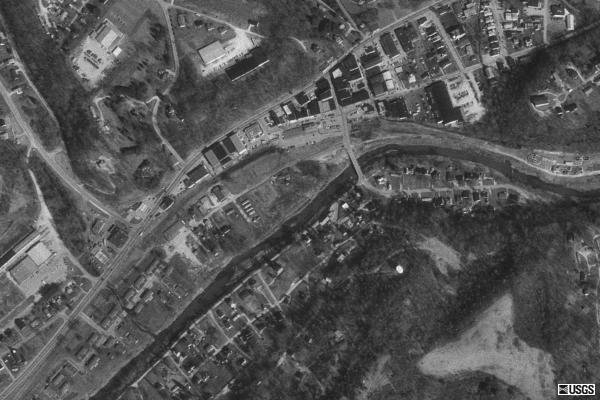 TerraServer aerial photo of Downtown Olive Hill, Ky.
Tygart Creek runs through center of photo. TerraServer site has photos of entire area. Route 2 from the north intersects with Main St. in Olive Hill. 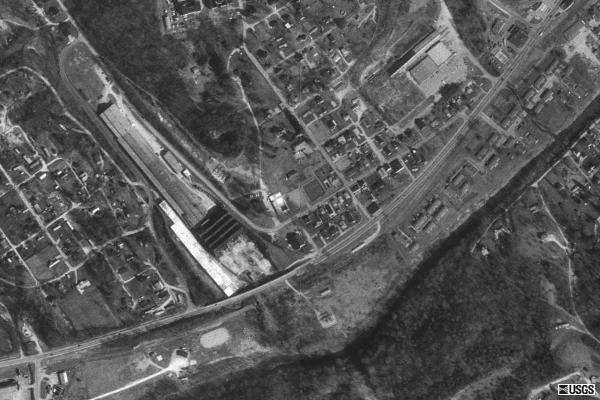 Clark Hill (left), brick foundry (center). West of Downtown, Olive Hill,Ky. 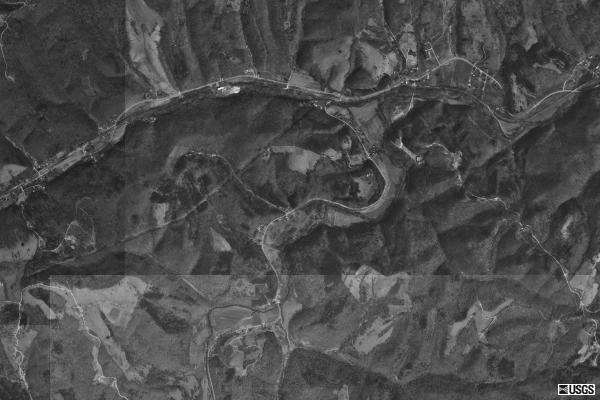 Tygart Creek runs upper right to bottom center. 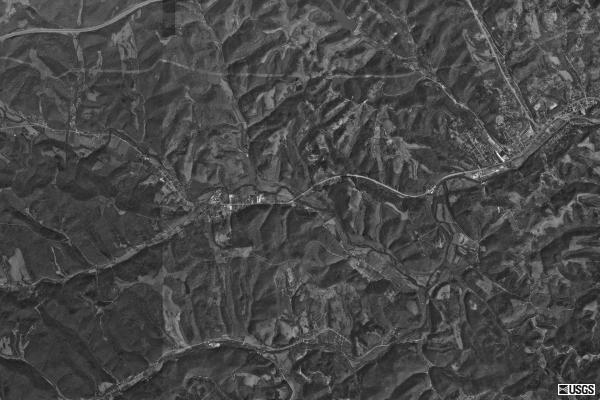 Highway in upper left corner of the photo is Interstate 64. 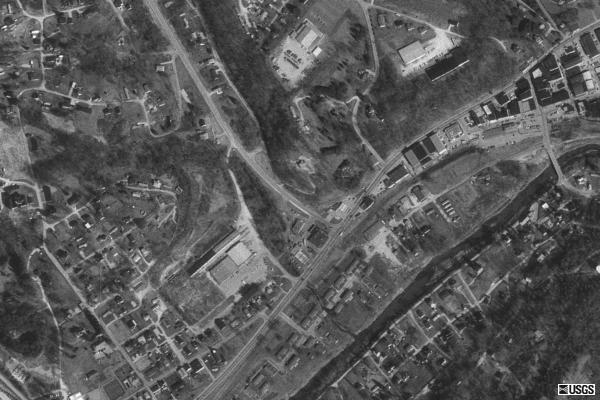 Built-up area on the right in the photo is Olive Hill, Ky..
Just west of Olive Hill, Ky.
Winding road at center leads to Limestone, Lawton, etc.  (Route 174). Highway map of Olive Hill area. Photos taken March 14, 1995. Image courtesy of the U.S. Geological Survey.